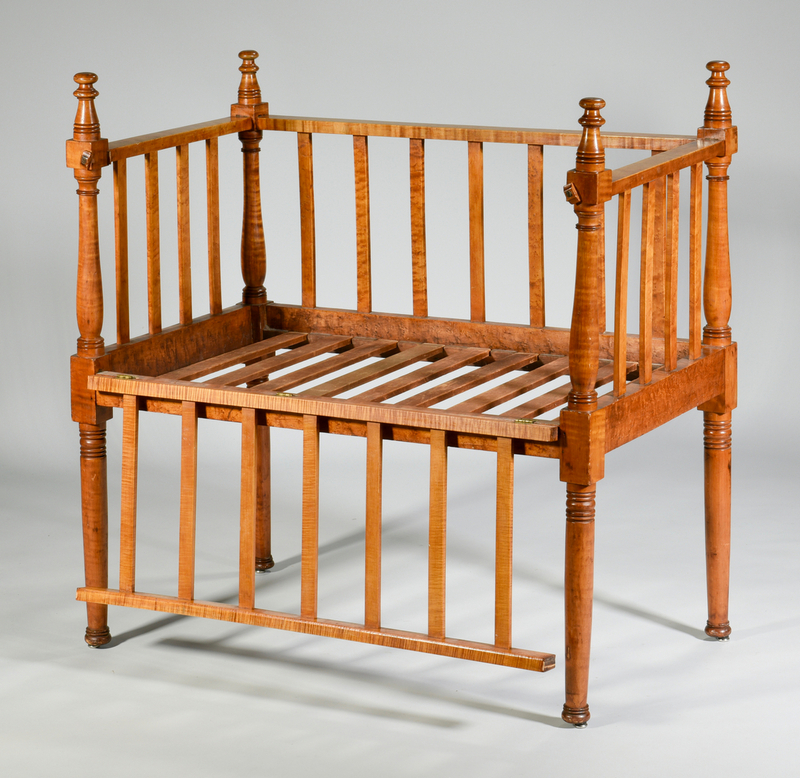 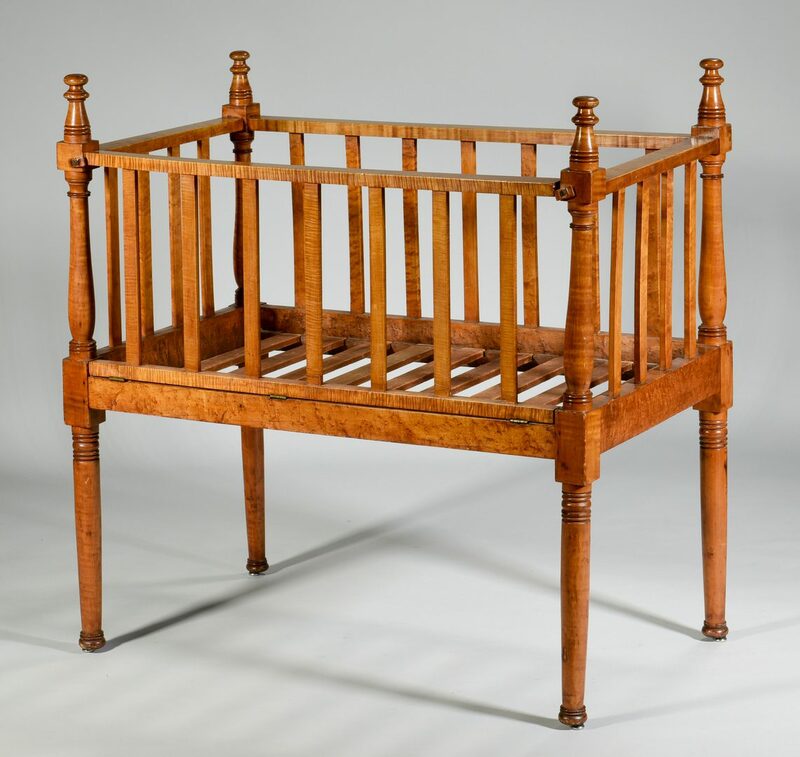 Lot 586: 19th century Maple Crib, poss. 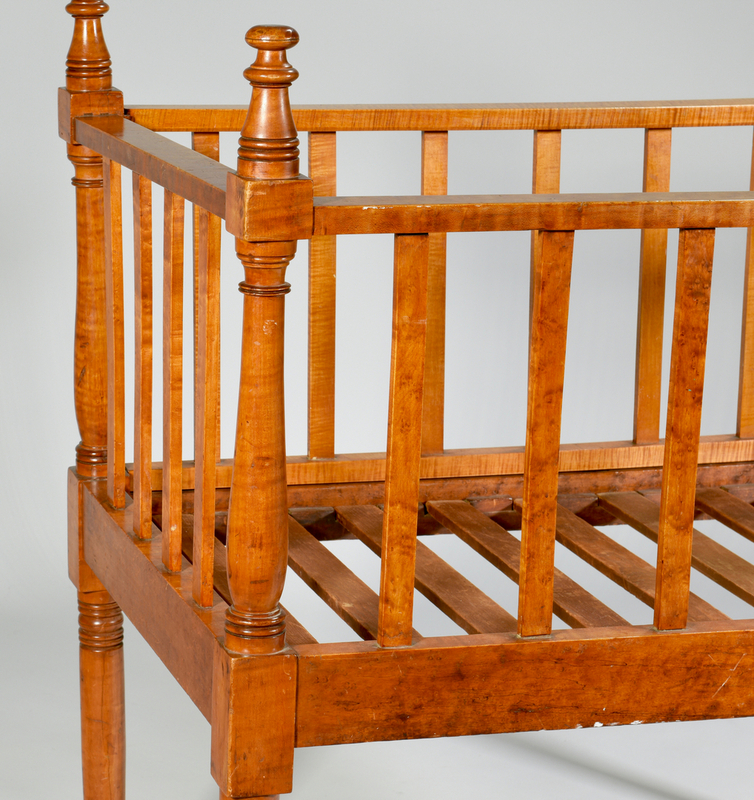 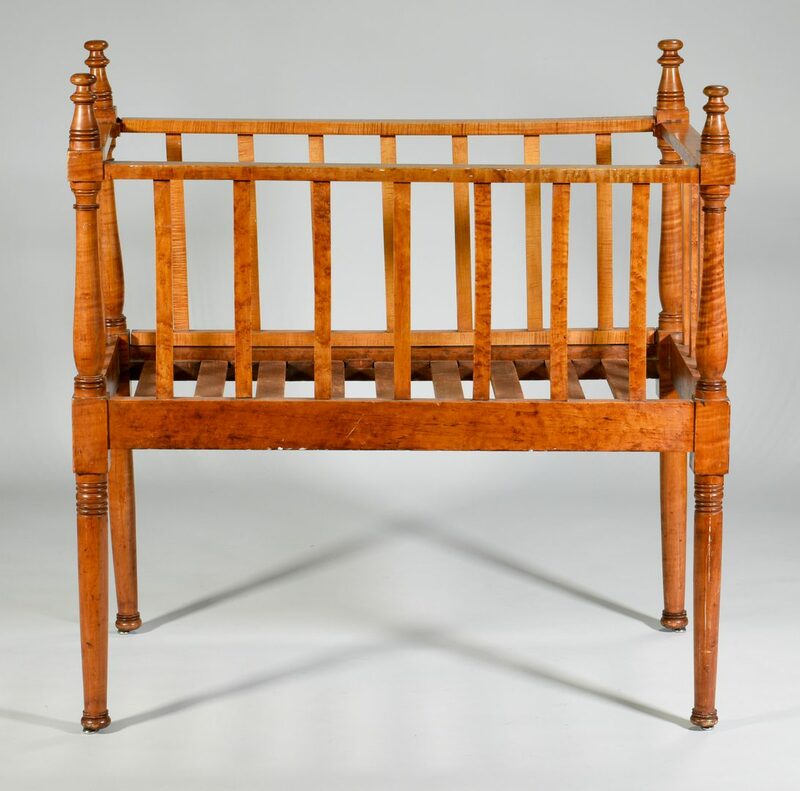 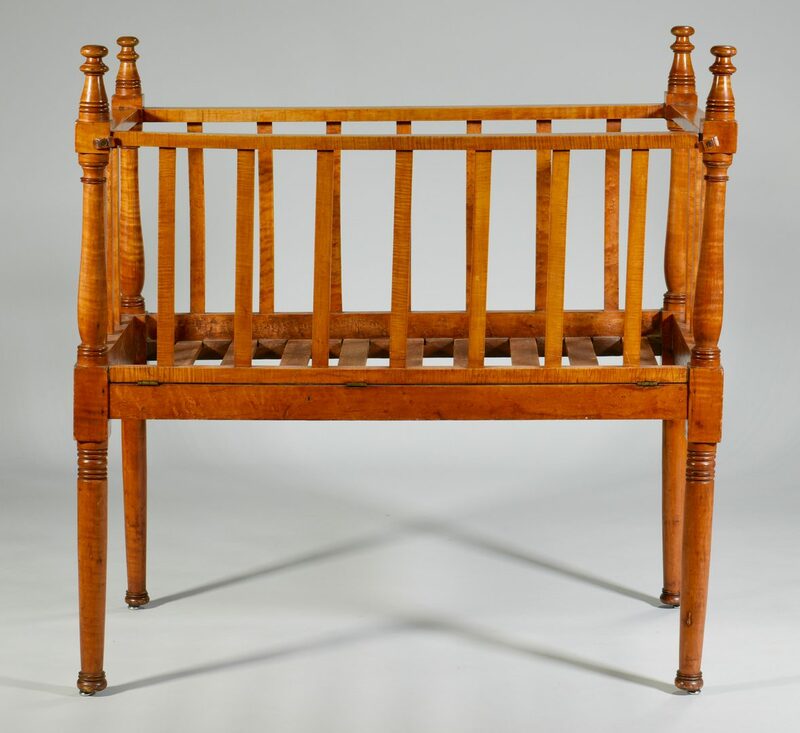 Tenn.
You are here: Home >> July 30, 2016 Historic Southern Summer Auction >> Lot 586: 19th century Maple Crib, poss. 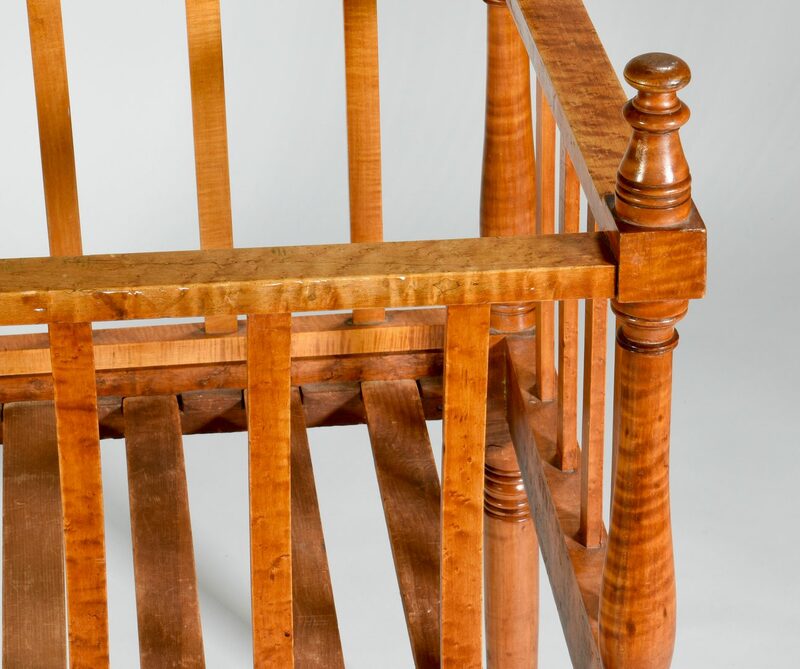 Tenn.
Bird's eye and tiger maple crib, mushroom finials on block vase and ring-turned stiles continuing to ring-turned tapering legs joined by rails and slats. One side is hinged from the bottom. 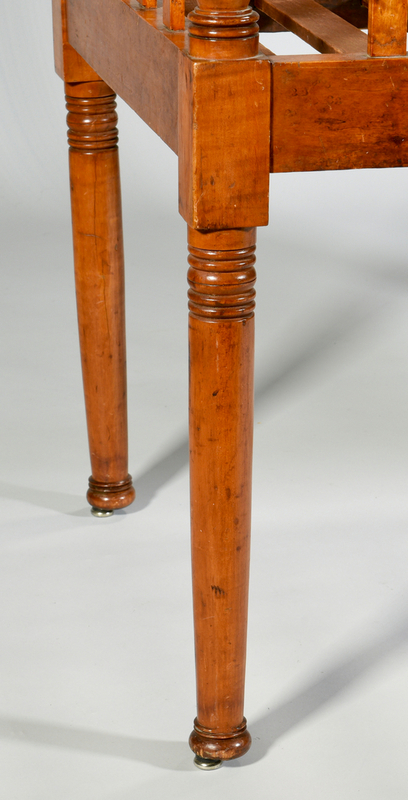 42" H (including contemporary metal carpet protectors) x 25" W x 42" D. Southern, possibly Tennessee, mid-19th century. 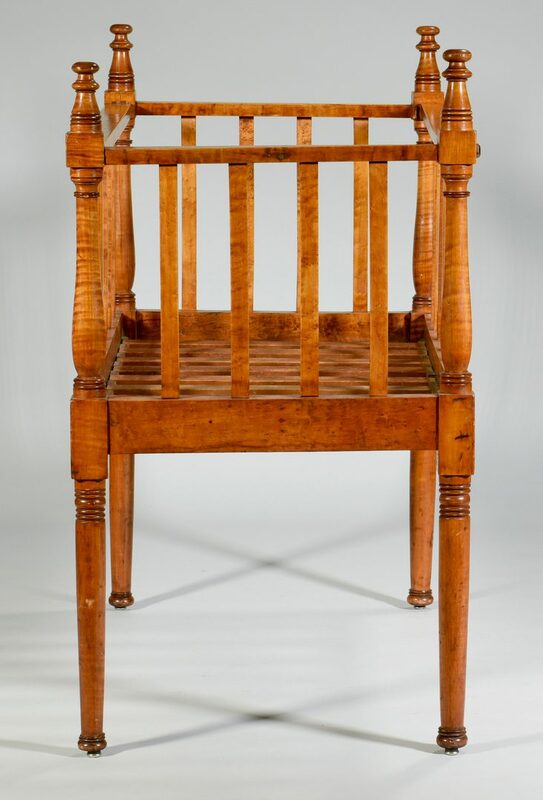 CONDITION: Refinished, overall good condition.